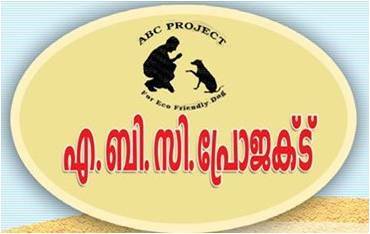 Animal Husbandry Department,Kerala has invited applications from veterinarians on contract basis for starting ABC units in all districts. Apply before 5th of August 2015. Minimum qualifications: BVSc& AH degree and KSVC registration. Apply with BIODATA to respective District Animal Husbandry Offices. Dont miss this opportunity. The installation ceremony of new office bearers and state level seminar on safe meat production is scheduled on 23.01.2019 (Wednesday) at Science and Technology Museum, PMG Thiruvananthapuram. Detailed programme schedule will be updated soon. IVA Alappuzha, along with KGVOA unit is celebrating “ONAM-2015” on 25’th August at Municipal square, Alappuzha. Inter Taluk “Onappookkalam: competition is arranged along with ‘Onakkilimas’- variety competitions for children and family members. Taluk level GB’s were organized at Kuttanad on 15 June, 20th June in Chengannur,.25th of June at Ambalapuzha and 23rd of June in Karthikapally. Cherthala Taluk GB was held on 26th with a CVE Programme on - Rabies control by Dr. Jayachandra Kamath, SVS, Kanichukulangara. Annual General Body of Indian Veterinary Asssociation of Kerala - 2015 The annual GB of Indian Veterinary Association , Kerala will begin in a few minutes at the main convention centre of The Al Saj, Convention centre, Thiruvananthapuram. Dr. E. K. Easwaran, State president will preside over the function. Reports, discussions, IVA awards etc will be presented during the function. This will be followed by the Valedictory function. VETRICON - 2015 - Valedictory Function The valedictory function of VETRICON 2015 is scheduled to unfold any moment in the Al Saj Convention Centre. Sri K Muraleedharan, Honourable MLA will be inaugurating the function. Dr. K. R. Arunkumar, State President, KGVOA will preside over the function. Induction of new office bearers for IVA 2016 and first State Committee meeting at Trivandrum today the 09 of January 2016. All state committee members are requested to attend the meeting without fail. Dr. C. Gopakumar Commemoration lecture on elephants will be held today. ( 11-1-2016) The lecture has been organized by Pathanamthitta District units of IVA & KGVOA. For details download link below. The Hon. Chief Secretary of Kerala Sri. S M Vijayanand IAS, will release the study report of IVA Kerala on ABC AR tomorrow ( 12.05.2016 ) at Thiruvananthapuram. Deputation list attached. Activities of Pathanamthitta District for the month of June 2015 Dr.Anilkumar.A.G, District Animal Husbandry Officer, Pathanamthitta, who retired from service on 31st May was given a grand send off party. Combined executive meeting of IVA and KGVOA were arranged on 15th & 25th June to finalise the arrangements in connection with World Zoonoses Day, proposed to be conducted at Thiruvalla, Santhinilayam,on July 6th.